I am so excited to introduce y'all to Jaye Martin, if you don't already know and love her. One of my favorite things about Jaye is her desire to pour into young women. She truly desires to live her life to pour into others. I am so personally challenged and inspired that my life would have the same kind of impact. That I would be as willing to say yes. Jaye has always held some sort of leadership position that has coincided with her passion for equipping women. But my very favorite thing is that even in a busy schedule she doesn't miss the opportunity to say yes to lunch with a young girl hungry for wisdom on first steps in ministry (yes, me). But my very favorite thing about Jaye is that her favorite young woman to pour into his her daughter, Kelli. It is so sweet to watch and makes me giddy over my future with Karis! Jaye has encouraged me more than she will ever know in pursuing God's call on my life. And I know she will encourage you too. 1. We love going to a Christmas Eve service together. Our extended family tries to all go to the same service at one our churches. 2. On Christmas day, we all stay together. Stockings come first. We snack for breakfast and open immediate family gifts. Other family members come for lunch. We eat then open presents from each other. Then, we do dessert later in the day. We love spending time together and we put the cell phones away for the day. If we really are in the mood to get out, we drive around and look at Christmas lights. 3. Travel has also been a huge part of our Christmases. We go see the ones who can’t come. We love those trips right after Christmas when all the stores have sales. For us, we love to hit the Barnes & Noble and get the half price moleskin calendars. I hate to spend money to buy more things that no one wants or needs. I hate to get things that cost a lot that I will not use…what a waste. I regret having to throw away the food that nobody ate and I try to remember that it is worse if I try to eat all the leftovers! As a kindergartener, I learned there was no Santa. I felt as if my parents had lied to me. As an adult, we agreed to play the game with stuffed stockings showing up on the mantle and cookies being eaten. We never said it was Santa but we did have fun with how he got in and out of the house. As a child, Santa brought the big gifts but at our house, he just did the stockings and a few other things. We spent more time on sharing the family gifts and being excited about what each person gave and why. We left big hints about Santa and tried to keep the focus on the birth of Christ. Some Christmases, Santa even had to come early because of the travel schedule so it was fairly obvious that the whole thing was a game. Just like playing dress up, we pretended some funny Santa stories. We do too much. I admit it. We have always tried to keep within our budget. Some years it was slim and we just explained what was happening and how we wished it could be more. Some years my husband and I decided not to do gifts for each other so we would have more to spend on others. I LOVE what I learned from Harvey and Charlene Kneisel. They said to add up what we spend on all that gifts and then give the same amount to missions. We do that and more and it has always been a huge blessing knowing that we were giving to missions and evangelism causes through our church. I wish I had time to share all the things I’ve learned about Christmas but one I will share is this: Be calm. When you are calm, it calms others. So what if the rolls burn, or if you left the gift cards out of the stockings. It doesn’t matter if the house isn’t perfect or if someone spills cranberry juice on your ivory tablecloth right before the guests arrive. I remember the year my cousin’s 4 year old climbed up on the chair and grabbed a handful of the beautiful uncut chocolate cake before lunch was served. It was hilarious! Everyone laughed and no one got upset about the cake that was now missing a fist-full. We have great photos of the event and it has been a fun thing to remember for years. Keep it all in perspective. ENJOY the Christmas season and give the gift of the love of Jesus in all you say and do. Keep the people the main things and don’t let little things bother you. Keep Christ the central focus and live in out. You will have great memories to share! I always say that we need to have a “Mary” Christmas and take our tips for behavior from Mary, the mother of Jesus. Can you imagine the scorn she went through that first Christmas? And yet, she made wise choices and knew in her heart that God had a plan and it would all work together for good! 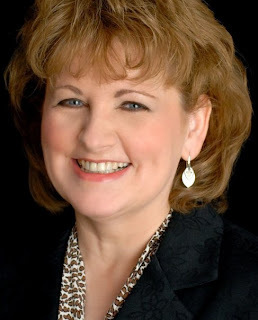 Jaye is an inspiration speaker, author, and consultant in the area of women’s creative evangelistic leadership. She is the Director of Women’s Leadership at The Southern Baptist Theological Seminary in Louisville, KY where she has served for seven years as a director and professor. 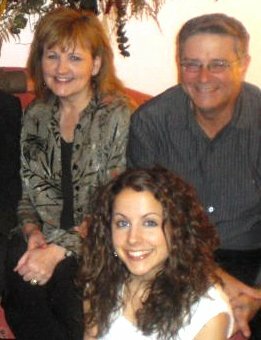 She is married to Dana and they have one daughter, Kelli, who is a graduating Masters student at Southern Seminary. They live in Houston and are active members at Houston’s First Baptist Church where Jaye serves on Sunday mornings at the preschool welcome desk and Dana teaches Life Bible Study and serves as a deacon. You can connect more with Jaye through her blog (jayemartine.com), Twitter, and Facebook.